Dimensions 1.25 by 9 by 11.25 in. 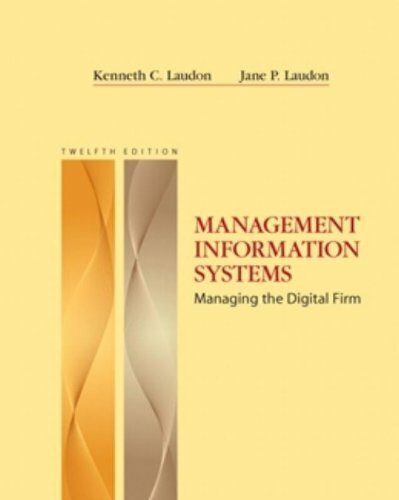 Amazon.com description: Product Description: Management Information Systems provides comprehensive and integrative coverage of essential new technologies, information system applications, and their impact on business models and managerial decision-making in an exciting and interactive manner. The twelfth edition focuses on the major changes that have been made in information technology over the past two years, and includes new opening, closing, and Interactive Session cases.